On Monday, January 30, 2017, at approximately 2:30 p.m., a white colored Toyota Corolla was traveling northbound on Central Park Avenue was struck by a silver colored Oldsmobile Silhouette minivan traveling eastbound on Garfield Square Drive at a high rate of speed. This alert gives notice of armed robberies that have occurred in the 14th District. During these incidents, the offenders, who were armed with a knife, exited a car and demanded property from victims at knifepoint. 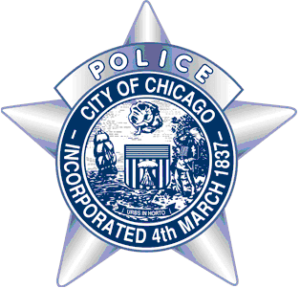 Residence: 8700 Block of S. Emerald Ave.
after being involved in a verbal and physical altercation in the 1200 block of N.
transported to Northwestern Sinai Hospital and were listed in stable condition. Banks was located by responding officers on the scene and charged accordingly. charging. No further information is available at this time. 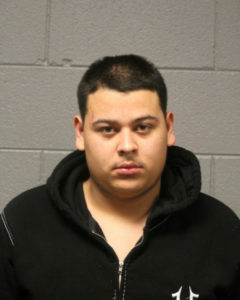 30 Jan 17 Charges for Monnrroy, Yonatan – Agg DUI CORRECTION: ADDRESS IS 400 BLOCK OF N. ASHLAND: Monrroy-Madrid was the driver of a vehicle involved in a fatal crash on January 28, 2017 at approximately 1:35 p.m. in the 1400 block of N. Ashland Ave. Monrroy-Madrid was traveling Westbound in a Jeep SUV on Hubbard and disregarded traffic signals which resulted in a traffic crash and death of a 58 year old male. This alert gives notice of several recent garage Burglaries that have occurred within the boundaries of the 019th District (Town Hall). In these burglaries, the offenders gain entry through a side door of the garage and then remove property from the garage. This alert gives notice of several Armed and Aggravated Robberies that have occurred within the boundaries of the 019th District (Town Hall). In these robberies, the offenders approach the victims while they are walking on the street, display or imply that they have a handgun, announce a robbery, and then proceed to take the victim’s property. This alert gives notice to businesses in the 009th District (Deering) of robbery incidents which have occurred during the month of January. In these incidents, businesses, i.e. small grocery/retail stores and a bakery were robbed at gunpoint. 1000 Block of West 31st Street on January 12, 2017 at 7:10 PM. 2900 Block of South Archer Avenue on January 19, 2017 at 5:05 AM. 1300 Block of West 31st Street at 4:09 PM on January 19, 2017 at 4:09 PM. 3200 Block of South Racine Avenue at 5:15PM on January 26, 2017 at 5:15 PM. One to three unknown male black offenders, 17-25, 140-160lbs., 5’05-6’03, dark brown complexion, 30-40 years of age, brown eyes, black hair, wearing dark clothing and black gloves. 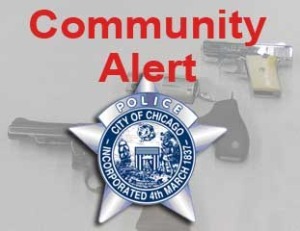 This alert gives notice to the citizens residing in the 3rd District (Grand Crossing) of robbery related incidents have occurred during the month of January. 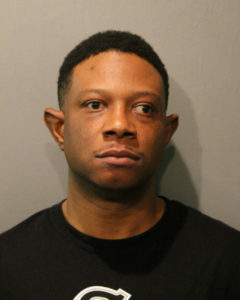 During these incidents, the offender(s) approached the victim on the street, announced a robbery while either displaying or implying a weapon, and demanded the victim’s property.